The 1951 Willys around Christmas! I've always been a Jeep Guy, even before I owned one as a kid I loved watching reruns of Rat Patrol and watching the Jeeps come over the sand dunes of Northern Africa to attack a Nazi German Convoy. I said I'm gonna own one of those someday! When I got older I owned several Jeeps of all various makes and models. 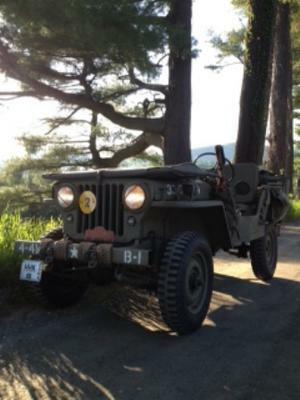 Presently I own a 1947 CJ2A which has been restored as a WWII Military MB all mostly stock (134ci), and a 1951 Willys Jeep Pickup truck (first year with 4WD) that has the factory optional Warn manual Overdrive, but a Chevy Vortec V6 engine while the rest of the drive-train is stock. My daily driver is a 2012 Jeep Wrangler JK Unlimited; 3.6 Pentastar with the AT/Slapstick, 3" ProComp Lift w/adj shocks, various brush/rock bars, PIAA Lights and Toyo Mud terain tires (33"/17"). 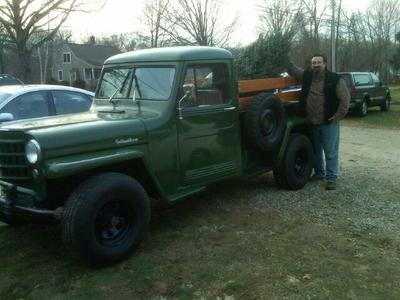 I also have a obligatory 1953 Dodge M37 (love military vehicles and history) and planning to buy a new project;1964 CJ5 this summer! 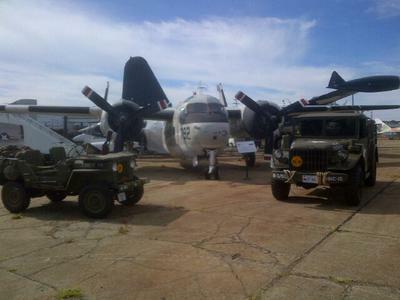 Editor's Comment: Tony...looks like you run the gamut with Jeeps, old and new. Also, nothing wrong with an old Dodge M37 either. Thanks!